Iceland, on our way back home aboard Iceland Air, where you can stopover no charge for up to a week. 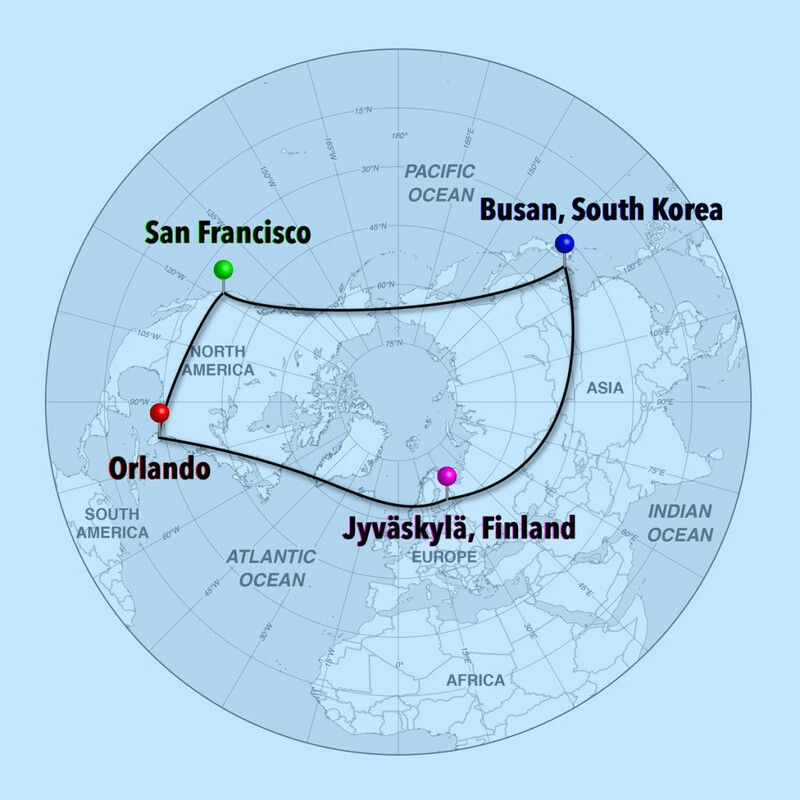 From Iceland, we’ll fly back home to Orlando and will have traveled over 17,700 miles through the air and spent nearly 2 months away from home. We will be doing a few projects on the road/plane and invite you to follow along via our blog (this one)! Here’s where we’d love to hear from you: our itinerary isn’t fully set yet. Where have you been along our travel route (very loosely speaking) that you’d suggest visiting? Or do you have a connection that could host us or show off their city/village/mountain? Some additional places we’ve thought of going to include: Nepal to work on a Habitat for Humanity project, and Russia to travel the Trans Siberian Railway for a bit. We’ve spent a lot of time in mainland Europe, but none in Scandinavia and very little in Asia.